The luxurious and powerful mattress replacement system that is reshaping the world of wound care. The luxurious and powerful mattress replacement syetem that is reshaping the world od wound care. Brought to you by the in inventive research and design team at Carilex, DualGT -- the most deluxe replacement system from Carilex yet -- is packed with instinctive input design to create maximum comfort while providing exceptional protection with Anti-Bottoming Out Sensor and interchangeable air cells for total and constant pressure relief. Taking care of patients can be stressful, that is why it is crucial to have simply input options. DualGT's Semi-Automatic Power Unit does not need to input patient's weight. Thanks to years of rigorous research and countless examinations in what is most comfortable for patients, DualGT offers multiple comfort levels that delivers optimal internal pressure according to each patient's sensation; as well as both dynamic and static modes to meet individual patients need. We took all the complications in wound care systems and turn it into carefully calculated technology that is fuss-free for you. We also rethink the meaning of "deluxe comfort" and decided to create something that is extremely powerful in pressure relief and extraordinary luxurious in every possible way. DualGT provides maximum pressure redistribution and therapy by allowing the patient to immerse into the mattress. The Anti-Bottoming Out Sensor delivers extra protection for the sacrum area. DualGT also comes with a 5-inch special air cell that is interchangeable for optimal pressure relief and localized healing. Furthermore, DualGT offers pillow function, designed to bring extra comfort by allowing the head zone to have static air cells. Revolutionary technology, ultimate deluxe comfort, and epically powerful. DualGT treats and prevents pressure ulcer with diligent precision. It is setting a new bar for high-end mattress replacement systems. A total game changer. 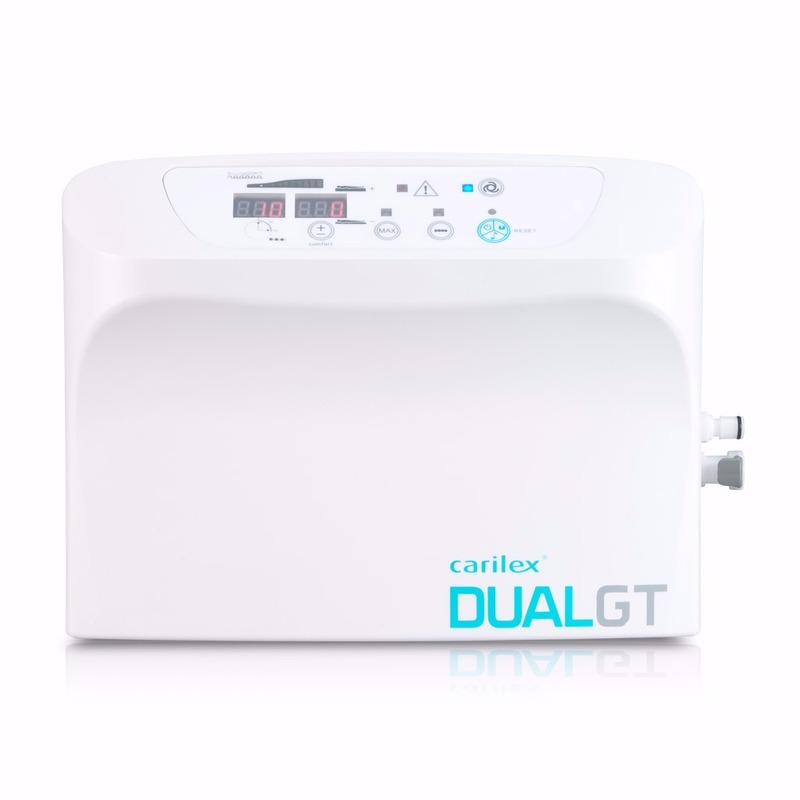 The DualGT Automatic Power Unit with IPS Technology. The IPS Technology, Intelligent Pressure Sensing Technology, responds to patient movements on mattress by automatically adjusting internal mattress pressure, which allows DualGT to regulate airflow and continuously provide total. envelopment for our patients. Carilex is the first brand in the industry to master IPS. This gives us more experience and vast knowledge in the technology that is years ahead of our competitors. Responds to patient movements on mattress by automatically adjusting internal mattress pres- sure. Provides optimal internal pressure according to each patient’ s sensation. Includes options for comfort level adjustment, no weight input needed. Provide both dynamic and static functions to meet individual patient’s need. Multiple cycle time selection for alternating pressure therapy. Visual indication demonstrating optimal pressure level for the patient. The Carilex DualGT Mattress Replacement System is designed to facilitate blood circilation and provide maximum tissue pressure redistribution and relief for treating and preventing pressure injuries. It is the ideal therapy system providing low noise level and comfortable modular cell design for superior sleeping quality. 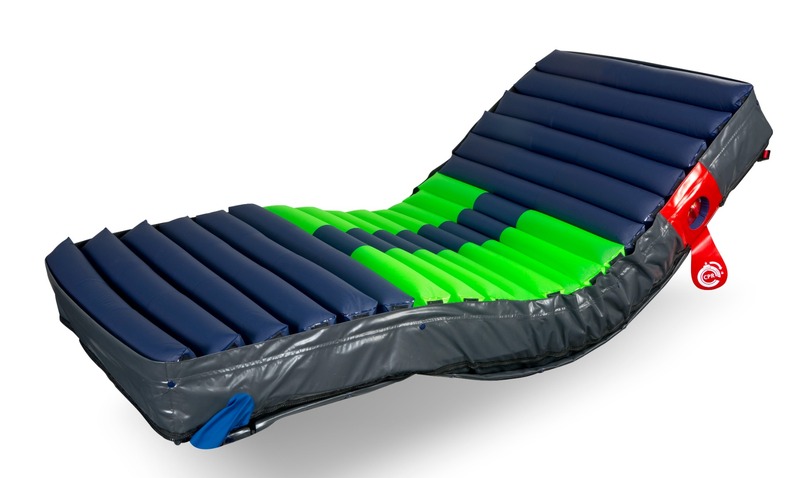 Rapid deflating the entire mattress within sec- onds in case of emergency. No gap between air cells delivers maximum sup- 7 port and pressure redistribution while patient is lying down. This also gives additional safety for egress and ingress. Special replaceable 5" cell provides the constant pressure relief and localize healing. Extra protection for patients in the sacrum area. Protection of those who might be vulnerable to acquiring an infection. Mattress designed specifically for easy carrying.